This house is so inspirational. 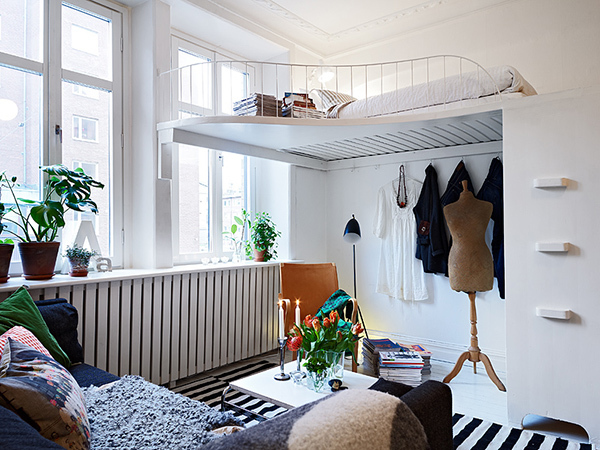 They ran out of space so they added this loft area for the bed! I love quirky ideas like this. It's like an adult bunk bed, but cooler. The big huge windows make this idea possible. This wouldn't work as well in a room with small windows, it would look too claustrophobic. Check out the rest of this house here.